The horrendous witch continues to binges upon Argent the City of Commerce. This time witch has a new offering, a special magical lantern that is rumored to be causing some weird effects on fairies. Its origins exact is unknown but the lantern spreads some unseen color among. The witch is offering a limited time, as the lantern will only work the day before Halloween when the energy of undead is at it's highest activity. Players can seek Pappa to find out if they can purchase the special magical lantern crafted by the witch. 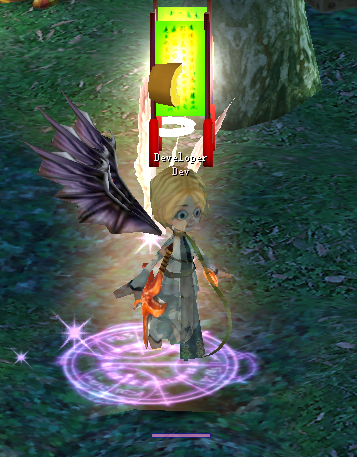 Details: Witch's magic lantern which have adverse effects on fairy stamina and what more they make fairies excited, Players can lit the lantern to activate double growth and no stamina consumption as long the lantern is lit. Event NPC - Pappa can help you find out how to buy those special witch lantern. You will need to farm some ingredients so the witch can craft the magical lantern. 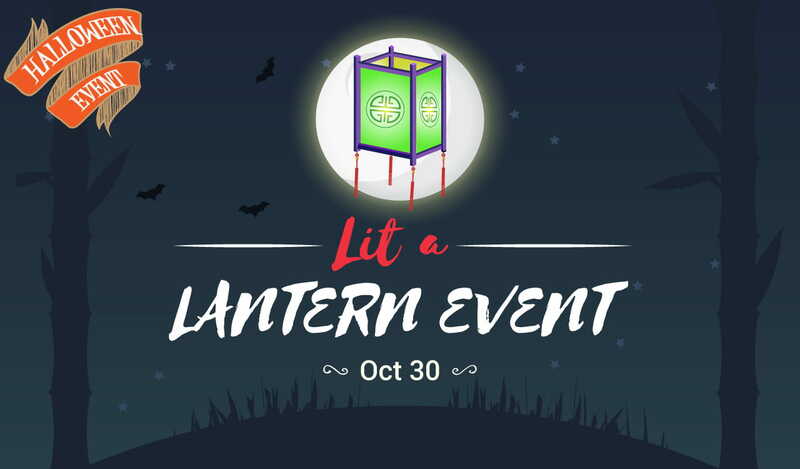 The witch lantern will only work on Halloween Eve (October 30th), the lantern will not work before or after otherwise. The lantern effect remains added to your character even if you re-login or switch between maps. Players can see who else have magic lantern by observing the spooky green lantern above characters. 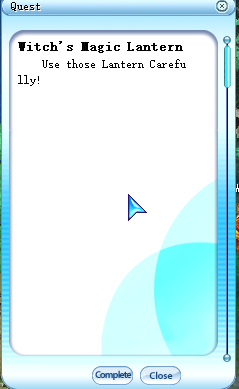 Is the quest bugged? what happens? Just that Triggers on item acquire does not register properly. We will look into it. Doesnt work for me, when i had all items it said 0 for each at Pappa. But when i had 2 lanterns, 6 cinder, and 6 red paper I dropped 1 of each and then it said i had all items but wont let me complete quest. Not to Pappa but to Laila.